Sonia Hall. Photo by Earl Richardson. 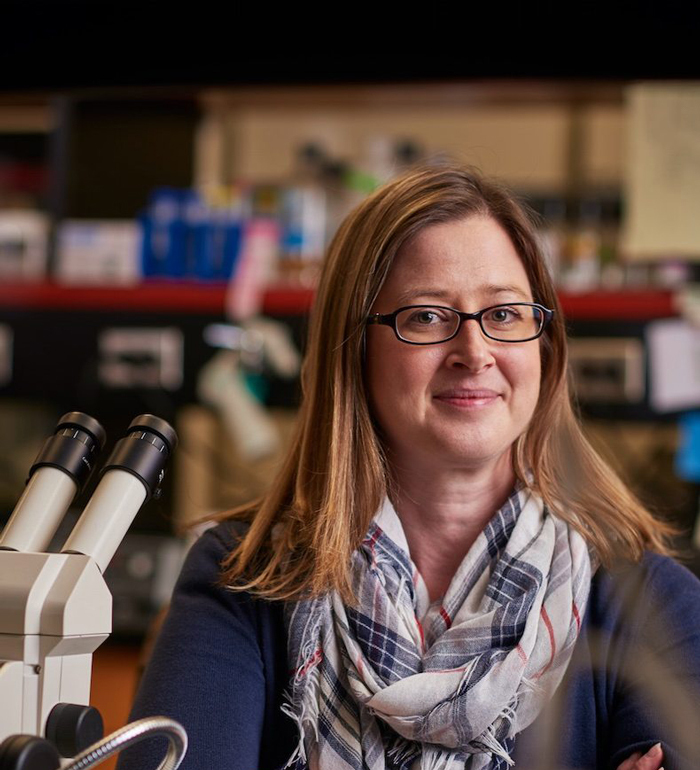 As part of the Genetics Society of America’s renewed focus on early career members, Director of Engagement and Development Sonia Hall has created an innovative Early Career Scientist Leadership Program for graduate student and postdoc GSA members. Now that the Program is in full swing, Sonia talks about how it’s going and what has surprised her about working with the early career leaders and their advisors. What inspired you to create the Early Career Scientist Leadership and Professional Development Program? I had a very meaningful leadership experience with the GSA when I was a Trainee Advisory Representative for the Board of Directors. The Society’s leaders invested lots of time and energy in my professional development, and I was given tremendous opportunities. But I was one of very few people able to have this chance, so I wanted to share the opportunity with more of our graduate student and postdoc members. At the same time, I’ve been a strong advocate for giving early career scientists a voice in the larger scientific community. I wanted to find a way to create leadership opportunities for them in a time efficient program that could combine service with professional skill development. This program is the result. I want to show that graduate students and postdocs can advance the scientific enterprise both at the research bench and away from it. We have great leaders in the GSA who want to see early career scientists succeed, and I want this commitment to become more visible. I truly believe that we’re stronger together than we are apart. I want early career scientists to know that there’s an entire community around them that wants them to succeed and that values their contributions. What do you hope the participants get out of the Leadership Program? So many things! I want them to realize that they are competent and capable individuals with tremendous opportunities in front of them. Each committee designs projects that challenge them to refine professional skills that are important for success in all career paths. From these projects, they create products that demonstrate their strengths as professional scientists. This allows them to step into the job market with evidence of their professional skills. We also hope to foster a sense of belonging to the GSA community—so that no matter what career path they take, they continue to feel connected to the society. What do you hope the genetics community will get out of the program? Participants choose projects they feel will address unmet needs in our community. The Communication & Outreach Subcommittee is working to demonstrate the impact the model organism community has had on the larger scientific enterprise. They aim to tell stories that send a clear message about why funding model organism research is valuable. The Policy Subcommittee is developing resources to help early career scientists to engage in advocacy or pursue careers in policy. The Career Development Subcommittee is highlighting the diverse career pathways of people who train in our community. They want to demonstrate the versatility of PhD training and to remind professional scientists that they remain part of our community regardless of which career path they have pursued. What do the leaders do during their time in the program? It depends! Each participant serves on a committee, and each committee has different goals. The activities of all the groups are guided by the Steering Committee, which is a hub for gathering and disseminating information, both to the subcommittees and the GSA Board of Directors. There are four subcommittees working with the Steering Committee: Career Development, Communication and Outreach, Diversity, and Policy. All the committees meet virtually, which gives them a lot of flexibility. They are joined by a team of advisors made up of both leaders from the GSA community and experts with experience related to the projects. Some of these advisors come from outside of the genetics community. I think this is really important because it shows how we can achieve our goals better by diversifying the expertise of the group. I am also currently working on pairing each participant with an individual mentor. I’m trying to match them with professionals who can provide career guidance tailored to their needs and interests. This is really challenging, but I think it’s important. Amazing! It’s moving at a much faster pace than I expected. It has been really exciting to see the response from the community. I certainly see the value in the products of their projects but the part I love the most is recalling all of the steps they took to make that deliverable product a reality. It’s really been exciting to see the participants grow as professionals and as a community. Many of them have developed friendships and have even found ways to meet in person at various meetings. The professional friendships are one of the things I really hoped would happen but wasn’t sure would be realistic with virtual meetings. Fortunately, we appointed some truly exceptional people that really value each other, so it has worked well. Other than the speed, I was surprised how great it has been for committees to work with two different advisors with different backgrounds. I knew having advisors would be beneficial, but having two different angles has made the advice so much richer. The other thing I was surprised by was how quickly participants switched from their initial hesitation—from asking permission for everything—to suddenly taking ownership of their projects and feeling empowered. We’re onboarding our second cohort of leaders, and several committees have projects that will be public soon. We’re also starting to work on implementing new activities at GSA conferences. Our members come from all over the globe—nearly 60 countries—so we need more Leadership Program participants from places other than North America. I would love to learn more about the training situation in other parts of the world. I would also like more representation across different institution types and regions. I know that the challenges faced by early career scientists vary from place to place. Bringing in this diverse perspective will allow us to continue to develop innovative projects.